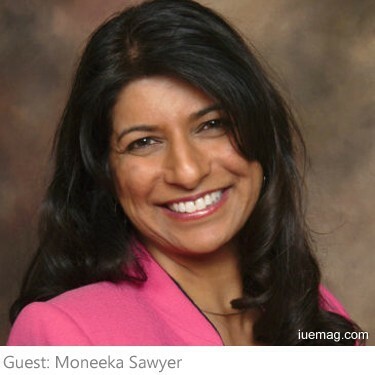 Moneeka Sawyer is a Whole Life Mastery Coach who has been coaching clients from artists and solopreneurs to high-tech CEO's to discover their own personal leadership style and create a whole new sense of power, energy and excitement about their businesses and lives. She teaches you how to understand your own innate energetic make-up for improving communications, creating more fulfilling relationships, and being a more effective leader in all areas of life. 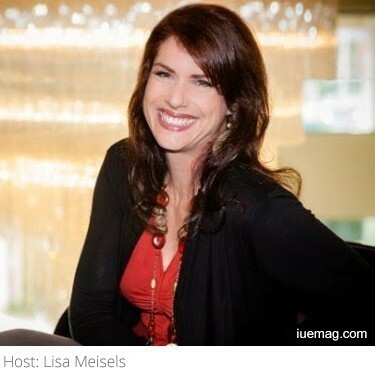 She is a bestselling author and has been featured on ABC, NBC, CW, and numerous radio shows. In the interview, Moneeka talks about her struggle to become empowered. She had a difficult childhood being of a different color, being bullied and later assaulted. Because she grew up feeling like no one would ever like her, it made her stronger but underneath, it also created a need for attention. She talks about nice girls saying “yes” to fit in, be liked and have the approval they are seeking. Her situations caused trauma, fear, nightmares and eventually years of therapy. At one of her darkest moments, her favorite therapist opened her eyes when he told her “what they did to you was horrible, but what you’re doing to yourself is even worse”. This phrase stuck with her. She realized how by holding on to our past stories, we allow hurtful situations and people to have influence on us now. She says it’s a choice we can make. We are the ones holding on to it. Moneeka’s journey started when she wanted to learn how to stand up, be herself and bring her gifts to the world. She’s learned about forgiveness, empowerment and the power of choice. She explains that contrast- or “bad things” are there to show us what ugly looks like so we can be open enough to see what’s beautiful. These are lessons to learn. She believes that some people choose to stay in survival and victimhood which is the opposite of living in joy. She also believes that bliss is our birthright and we have the choice to develop the skill to be happy within ourselves every single day. Bliss doesn’t necessarily mean being happy all the time but it means having the emotional foundation that anchors you in feeling peaceful, alive and fulfilled. From that place, life is easier, feels more in flow and your decisions are no longer based on fear. When you have this foundation, and are coming from the place of contentment you get to choose your outcome. Moneeka was inspired to write a book after being in therapy and then in her profession of personal development for a long time. She was eventually asked by her coach to come on board with him and in doing so, they were able to mix Eastern and Western philosophies in their coaching style. She coached very successful executives full time for about 7 years realizing the biggest concern they had was that they weren’t fulfilled in life. She realized this is a Universal concern, not just something that affects executives. This insight began her vision to empower many people and she knew there was only so much she could do one on one. So she set out to write her book. Writing the book took her 9 months. She didn’t release it however for 3 more months because she was afraid to share her personal story. She feels she channeled a lot of the book- the words, the right stories, the way it came together. After her book was out and it started getting reviewed, she said it felt really personal because it was about her story. Her book was so well received, she was very pleased. Moneeka’s desire is to impact people in some way, even if it’s just a little in order to bring more joy in to their lives. There is an old Buddhist saying “not forgiving someone is like drinking poison and expecting them to dye”. Moneeka does a lot of forgiveness work. She says holding on to anger, sadness, rage, hate, spite, etc. release chemicals in your body, which is the same as the poison. So instead of poisoning you immediately, it makes your life miserable as you suffer for your entire life. Forgiveness is not about condoning something someone did. It’s about releasing the emotions that make you happy so you’re not poisoning your body with those chemicals released from negative emotions. In her first chapter, Moneeka defines bliss. Bliss is deeper and more empowering than happiness. Bliss gives people access to more joy in life. Her story helps people understand they’re not alone. She wants people to believe it’s possible to live in bliss and joy no matter what has happened in your life. She says becoming blissful is a practice. It’s a way of life. She says everyone has their bad days and it’s about putting a process in place that enhances your life. Later in the book, she talks about implementing bliss strategies into your life. Go to her website www.CoreBlissLife.com to download the first chapter of her book called A Power Within You free. Learn about the definition of bliss, why you deserve to have bliss in your life and how it’s possible.